Solve your favourite ghosts puzzles on the go! 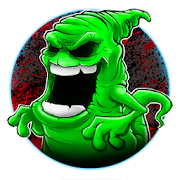 Ghosts Puzzles provides an unbeatable puzzle solving experience for puzzle lovers. Over 80 beautiful hand drawn images of ghosts. You can press “eye” to check the whole photo.